Special offers of this weekend @ PurpleMoon | ! *PurpleMoon Creations* ! These are our awesome deals for this weekend for only L$60 each! I put together three outfits choosing different pieces of our BOHO HOUSE. I hope you like them! 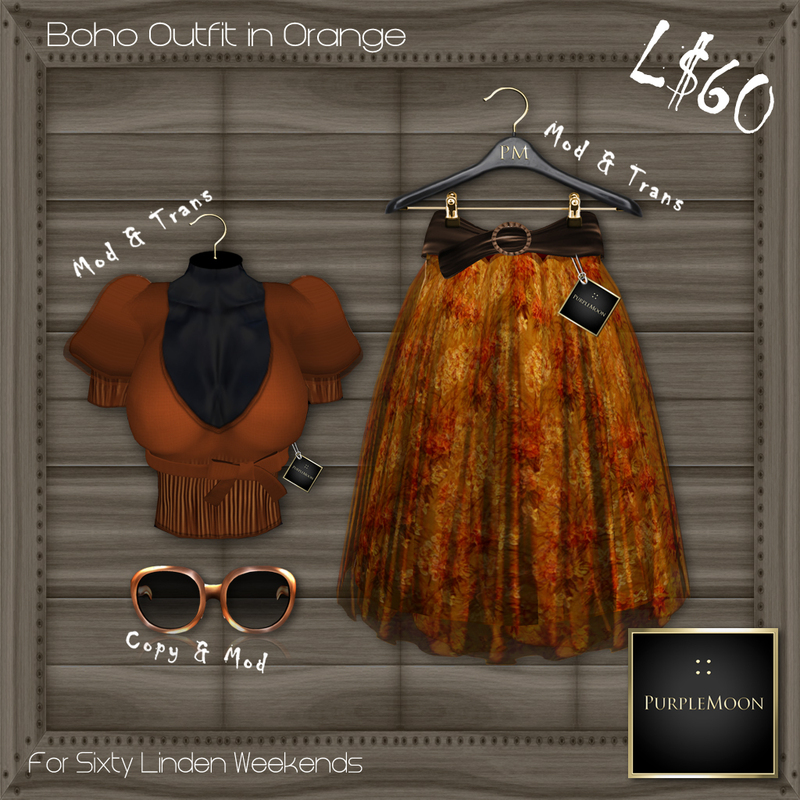 Each outfit is only L$60!